...gets my attention, and add in rose, white sage, black currant, wild honey and lavender (ok, in all truth I can often do without lavender) and you've got something I'd like to try. The 'she' in the quote above is Alexandra Balahoutis, of indie botanical line Strange Invisible Perfumes, and the perfume is Essence of IX, a limited edition project in collaboration with California winery Colgin Cellars. Essence of IX opens quite boozy (really, maybe it's just the alcohol) and herbal, and it's slightly medicinal to boot. You might just want to let it rest on your skin for a few minutes before you breathe deeply, especially if you're not a huge fan of lavender. After that, it's a lovely, more-dry-than-sweet rose with light fruity undertones, rather sheer, over a warm woody base. It is mildly earthy — literally, it recalls warm soil — and the honeyed oak in the finish is interesting. It does not smell like what I've come to think of as "oak" in perfume, and perhaps that is because most oak notes are synthetic, or perhaps it is because of the special distillation techniques, I don't know. Anyway, whatever it is, it smells good. Essence of IX stays herbal throughout its development, but it isn't as strongly vegetal as Strange Invisible Perfumes' Aquarian Roses, and I also find it more focused on the rose. And it doesn't smell like wine, exactly, but it nicely evokes the idea of a Northern California winery. I love it. The lasting power is not fabulous, but it's quite good for a natural: maybe half the day. The price is also not fabulous (see below — I can't bear to type it more than once), but it's not out of the ordinary for an indie natural brand. Still, I do wish they'd done this one in a more-affordable Eau de Parfum, and why, oh why, is Black Rosette still only in extrait? Strange Invisible Perfumes Essence of IX is available in 1/4 oz Parfum, $320. For buying information, see the listing for Strange Invisible Perfumes under Perfume Houses. 1. Via the press release, more of which you can find in the fragrance announcement. I was thinking the whole time how great this sounded (I AM a fan of lavender) until I got to the next to the last line – $320 for 1/4 oz – GULP! CHOKE! I can’t even afford a sample. Ditto Rappleyea, that is seriously expensive. Too bad, because it sounds like a terrific fragrance. Oh well, money saved. Great review! I can’t imagine I’ll get to try this, but who knows, and thanks for reviewing it, R.
I enjoy my small decant of Fire & Cream, but it definitely has a “natural oils” vibe to it somehow. I’m not saying that’s a bad thing… it just reminds me a bit of the “mix your own” oils at the food co-op. Maybe “vegetal,” as you describe it, is the right word? Anyway, I think it would be a good place to start with the line… not that I’m that familiar with the line! I need to try Magazine Street again, and that Black Rosette has been on my radar a long time. I take it that *is* worth trying for sure, eh? That natural oil vibe (or what I think of as the “wild child” vibe, and don’t ask me to explain that, but very evident in Aquarian Roses) is common to the line, I think, but more so in some than in others. In some ways this one is more elegant than AR or F&C, and Magazine Street I think is also a smoother, less vegetal/herbal scent. Yes that’s the trouble for perfume freaks who have a collection of every natural oil from the health shop! Even the $$$ ones like myrrh! I’ve been mixing up various combinations and putting therm in almond oil as an after shower moisturiser for about 25 years…so when I smell a lot of naturals as nice as they are, they always have a sort of home-made vibe! Just the same I had a sample of “fire and Cream” which I loved, and I’ve just got a set of Soivohles, and I believe there is a lot of naturals in them, and they are absolutely BEAUTIFUL. The LE Dimanche they just had out was equally as beautiful and a little similar to Essence of IX. I caved and bought a bottle of it, not sorry I did! As for an entry level SIP fragrance, I think Magazine St is a good choice, but its vanilla/vetiver/patchouli is a complex trio. I think Musc Botanique might also be good as well as Prima Ballerina for someone new to the line. Those are both very wearable and gorgeous! They both have the vegetal musk thing going on, but as a devout musk-loather, I actually enjoy them. I hope I did not discourage you from trying the line, it is one of my favorites — and the natural oil vibe thing is not headshop, in case anyone took it that way! Anyway, don’t know SIP follows blogs or not, but I can say that for some indie businesses, doing smaller / cheaper sizes might not be worth the bother, and I do respect that. And in all truth, I’d guess Black Rosette is not in EdP because it isn’t one of their bigger sellers, so too bad for me, right? You did not dissuade me from trying SIP whatsoever. There is a difference between headshop vibe and the natural oil thing, at least to my way of thinking. I do agree it’s probably not worth it for them to make small sizes-it is more expensive. I’ve wanted to try their line, but I am, sad to admit, a sample freak and Fire and Cream was an ‘almost’ purchase. Joe’s comment made me put it on the back burner. 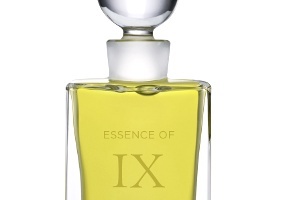 However, your review makes it hard to resist a sample of Essence of IX, not to mention Black Rosette. Gosh, I don’t want to put anyone off trying anything either. Fire & Cream is better than many things I’ve tried from a lot of types of fragrance makers, be they small or corporate. It’s certainly a work of art that someone couldn’t just make in his/her bathroom. Don’t scratch it off your list on my account… believe me, I had been curious about it for a long time and had to go in on a decant to satisfy my curiosity. Would I buy a bottle? Probably not, but that’s true of a LOT of things. If you want a sample, contact me on MUA: joe805. Indeed Robin! SIP is nowhere near being a headshop/health food store fragrance oil blend (or even an aromatherapy essential oil blend). They are really full, complex and unique fragrances made with high quality ingredients. I am a fan (obviously) and wish everyone could visit their boutique and experience them first hand. You reviewed this one quickly Robin and I’m glad you did. Well, sorta. I doubt at that price I’ll ever get a FB of this. Pity, as it sounds so lovely and looks great in that gorgeous bottle too! I have a feeling that the methods for the oak essence mean this won’t get added to the regular line, but it’s too bad — it really is nice, and as I said above, maybe more elegant than some of the others. Actually would love to smell more variations on the earthy oak base, it’s really lovely. I am totally fascinated by the idea of a ‘booze’ note. This scent sounds so nice, I love the mix of notes (rose, lavender, sage, mmm), but like others I am totally shut out from this fragrance by the price. Could you recommend any other fragrances that have a boozey note that are a bit more reasonably priced for a poor college student? Lubin Idole comes to mind. Mm, this one reads amazing on paper, I’ll have to track down a sample. I am a sucker for spices. Thanks! If you’re still checking this Halimeade, Frapin 1270 is a good one too. Granted this one and the Lubin Idole are not cheap, but they’re about 1/3rd the price of this SIP IX. At least you can order decants of these from The Perfumed Court. Let us know if you try any/all of these good suggestions and what you think of them. We’d *love* to know! Thierry Mugler Angel Liqueur de Parfum is vaguely reasonably priced, and possibly available at discount. Also Queen by Queen Latifah. The 2 boozy fragrances that come to mind, Guerlan SDV and L’Artisan Havana Vanille, are also not budget priced either, but slightly less than this one. Thierry Mugler A*Men Pure Malt is a whiskey-ish fragrance that is not too pricey, but I think may be hard to find. Let me correct myself – I’m sure it’s not “all” fragrances with boozy notes! And will add, in case it’s need, that SDV is Spiritueuse Double Vanille. Thanks Robin – I was being a lazy typist! But I do remember when I first started reading this site and getting into perfume and trying to figure out what FBW and L’AP and CdG and ELdO and all the other acronyms were! No worries, I do it too! But at least splits and/or decants of those two can be found at budget friendly prices. Oh, I quite like the descriptions for Havana Vanille, maybe I will stalk the internet for that one. Clove and rum sounds amazing. I’ve also been craving a sample for Tea for Two. My favorite boozy one (so far) is Micallef’s Note Vanillee. So yummy and smooth plus it last a long time on me. Not so sure summer is the time to be trying it, however! Distribution is iffy right now but from what I’ve read it will be easier to buy in the fall. I agree with Robin on the Angel Liqueur although it’s much more potent in my book. True about the Mugler, and it probably isn’t a summer scent either. I must say that I thought Magazine Street smelled like a moldy washrag – but I am, sadly, another naysayer. I keep *trying*, though: I’ve had samples of Magazine, Urban Lily, Musc Botanique, Tropical Vial, Fire and Cream and Vine, and can’t really say I’ve particularly liked any of them. I think I was closest to enjoying Tropical Vial, but found it a bit candied – seems like a good entry to the line, though. Have always wanted to try Lady Day or Black Rosette but whimped out because of price! I really wish I could remember the term Kevin used. It wasn’t moldy washrag, but it wasn’t any better than that. Forgot Tropical Vial, agree that’s a good intro. Lady Day — you would be surprised, it was a lovely, classical gardenia & sandalwood. Nothing like the others. Don’t know if it’s still that way (and don’t really know if it’s still for sale, although I’m told you can call and order it), and can’t believe it can still be made w/o charging an arm & a leg for the sandalwood. Ka-ching! Sounds lovely but not so sure about that natural oil vibe after sticker shock. Any clues on why it’s Essence of IX and not VIII or X? Oooh. This looks amazing. I might try it. How? I do not know. They do sell samples as a general rule, but they’re not listing samples for this one on their website — I guess because it’s a limited edition? The only SIP fragrance I’ve tried is Magazine Street. I found it interesting, but not lovely on me. This one sounds special, though, as the smells of the California wine country are among my favorite. Thanks for the review!